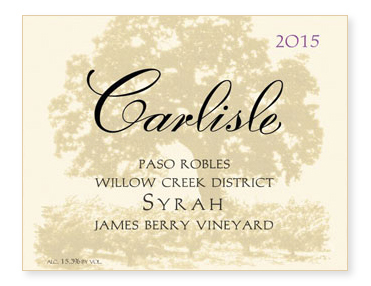 What can you say about James Berry Vineyard that has not already been said? Incredible terroir, expert farming, and a source of delicious, world-class wines. And if that wasn’t enough, despite all their success, you will not find two nicer and more humble people than owners Justin and Heather Smith. The stars have surely aligned over James Berry Vineyard! Our Syrah from the small block below the Bone Rock section was picked September 25th. On the skins for a total of 20 days, the wine was aged in all French oak, 33% new. Bottled unfined and unfiltered.